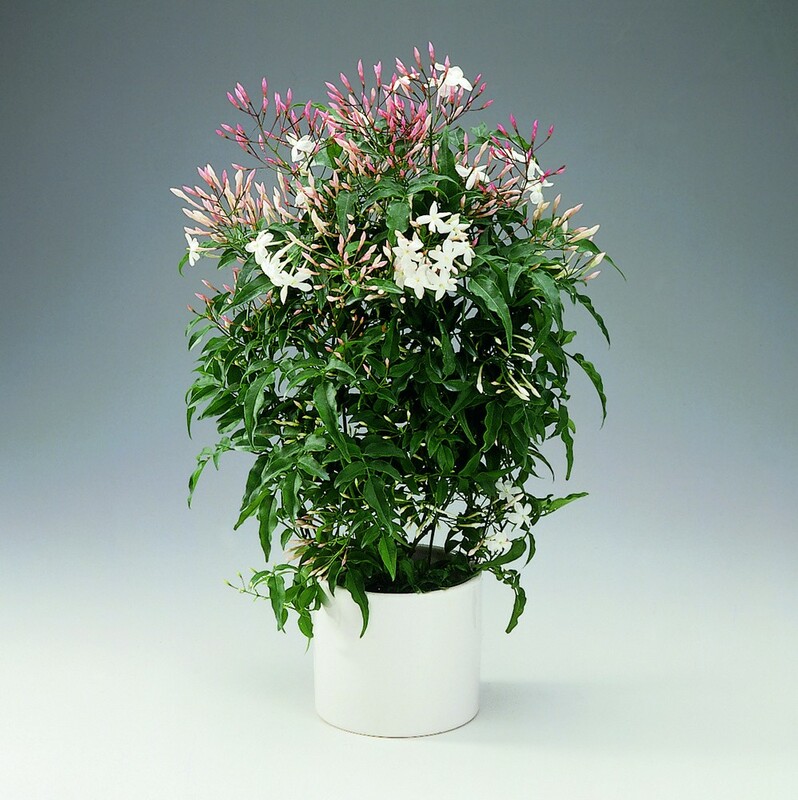 A small diminutive version of our best selling Fragrant Chinese Jasmin vine for those looking for a smart gift to be delivered on a tighter budget. 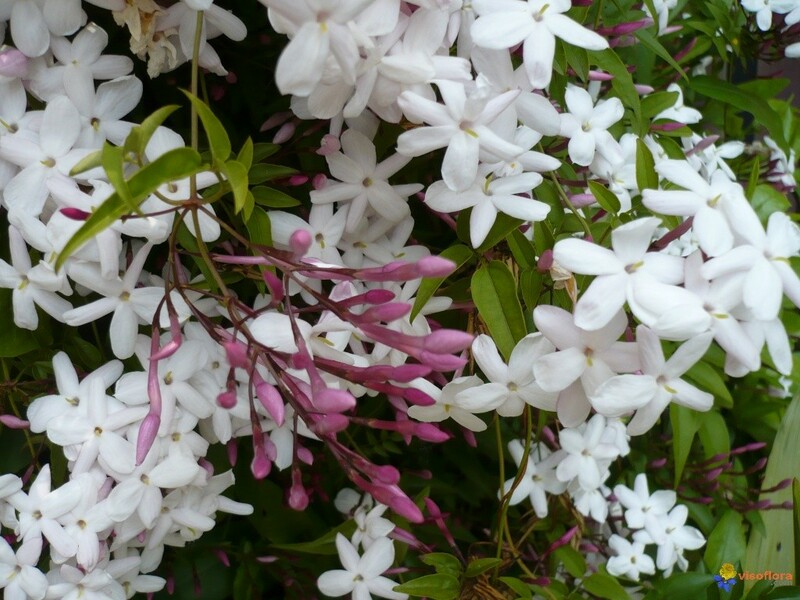 Famous for the wonderful sweet fragrance, this Jasmine is easy to grow, and will also make a memorable and treasured gift. Supplied in bud and bursting in to flower, it can be kept inside and enjoyed in the home where it will perfume a whole room. After the initial flowering, this easy to grow vine can be planted in a bright position outdoors where it can climb to reach up to 150cms tall, and provide hundreds, if not thousands, of white flowers, often flushed with pink, all with the beautiful fragrance that will never be forgotten. Imagine the scent wafting through the garden on a warm summers evening. 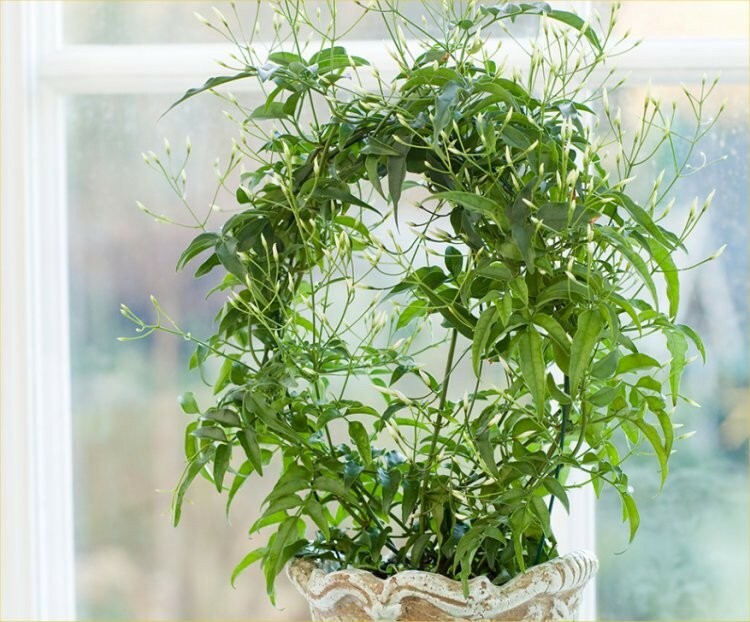 Supplied as pictured, trained as a hoop shape and with plenty of buds to burst in to flower, this Chinese Jasmine vine will bring pleasure immediately for many weeks. Every plant is studded with masses of flowers and buds ready to open, and is presented in a matching white display pot. The lucky recipient simply has to position and enjoy. For best results, we recommend the plants to be kept well watered and away from draughts.